The Reformation was ignited by the Church's sale of "indulgences," which promised liberation from punishment for temporal sins in the afterlife. The Church enriched itself by selling this spiritual forgiveness, a practice that reached a high point in the 16th century when the papacy used the profits from this to finance the rebuilding of St. Peter's in Rome. This caused the Augustinian monk Martin Luther�who countered the concept of purchased salvation with the doctrine of redemption through the grace of God�to criticize the basic teachings of the Church in 1517, which eventually resulted in the establishment of Protestant communities and churches throughout Europe. Radiating from Germany, Reformation movements sprung up all over Europe in the 16th century. In many cases, these differed fundamentally from the teachings of Luther. The Lutheran Church spread primarily in Scandinavia and the Baltic States, as well as in the German Empire, while the teachings of John Calvin spread out of Switzerland into France, the Netherlands, England, Scotland, Poland, Hungary, and elsewhere. The basis of the Calvinist theology was the doctrine of predestination�God's preselection of each individual as either saved or damned. The Calvinists believed that the nature of this selection, though immutable, was detectable by the circumstances of one's life, wealth, and fortune. This doctrine had a significant influence on the development of Western Europe and North America. In England, the Reformation took on a unique form through the creation of the Anglican Church. Its legal structure was acquired in 1534 through the designation of Henry VIII as the supreme head of the Church of England, through the Act of Supremacy. The Huguenots in France formulated their creed in 1558 at their first national synod in Paris. The French Reformation found its followers particularly among the nobility, which was always in contention with the strict Catholic monarchy. Following the slaughter of Huguenots in the Saint Bartholomew's Day Massacre in 15 72, a religious civil war broke out. Continuing persecution later resulted in the emigration of around 200,000 Huguenots in 1685. Smaller spiritual movements also emerged, such as that of the Anabaptists, who espoused adult baptism as a conscious "baptism of faith," and communal property. Joined Augustinian order in 1506; ordained as priest in 150;, taught Bibie studies in Wittenberg from 1512; published the 95 Theses demanding reform of the Church in 1517; placed the suffering and death of Christ and the doctrine of the redemption of mankind through grace at the center of his theology; translated the Bible into German and wrote the German Mass; married the former nun Katharina von Bora in 1525; protected by German princes. Studied and first encountered Luther in Wittenberg; began preaching in Zwickau in 1520; moved to Allstedt in 1523; broke with Luther in 1524 due to differences over his populist socially revolutionary ideas; played a large role in radicalizing the Thuringian peasants as preacher and agitator, later becoming their leader; was captured by Catholic forces in the Battle of Frankenhausen in 1525, tortured, and then beheaded. Pastor in Glarus from 1506 to 1516; ordained as priest in Zurich in 1518; spearheaded the Reformation there from 1524; saw the presence of Christ not actually but symbolically in the sacrament, which caused a split with the Lutherans; founded the Reformed Church; as a Swiss Protestant army chaplain, killed in 1531 at the Battle of Kappel against the Catholics. Studied law in Paris; preacher and church organizer in Geneva from 1536; was banished in 1538 when he attempted to introduce theocratic rule; returned in 1541 and succeeded in establishing his own strict Reformation Church; took Zwingli's position on the issue of the sacrament and promoted the concept of a dualistic predestination of mankind, either to blessedness or damnation; promoted an austerity and a pessimistic view of human nature that shaped the idea of a "Protestant work ethic." Was professor of Greek in 1518 in Wittenberg and one of the first supporters of Luther; wrote numerous theological works on the Reformation; composed the Augsburg Confession and oversaw the reordering of the regional churches; became the spiritual leader of the Lutherans after Luther's death and sought conciliatory talks with Catholics and Calvinists; attempted to integrate humanist ideas into the Reformation. numerous theological disputes and worked alongside Zwingli as leader of the Swiss Reformation. Ordained as a priest in 1509; later taught Bible studies in a seminary; moved to Wittenberg in 1521 to became a parish priest, a professor of theology, and Luther's confessor; was leading church organizer of the Reformation; founded most of the Reformed Churches in northern Germany, Denmark, and Norway. Joined Dominican Order in 1506; joined the Reformation in 1518; worked as a pastor and reformer in Strasbourg, a center of the early Reformation; endorsed Zwingli's and Caivin's view on the issue of the sacrament; aligned himself with the Baptists on some theological questions; was expelled from Strasbourg by command of the Holy Roman Emperor in 1549; took refuge in England at the invitation of the archbishop of Canterbury. Born the illegitimate son of a priest in Rotterdam; was himself ordained as a priest in 1492; worked as an influential theologist, philologist and publicist; criticized the worldliness of the Church and the cult of relics; as a humanist, argued for the respect of each person's freewill, and criticized Luther's excessive determinism; attempted to avoid aligning himself with either of the two sides in the schism but was attacked by both as a result. Ordained as priest in 1536; became supporter of the Reformation in 1546; worked as reform preacher from 1549 in the English-Scottish border region; fled from the Catholic restoration in England in 1554; took refuge in Geneva where Calvin was based; returned to Edinburgh in 1559 as a priest and preacher; successfully worked to establish Calvanism in Scotland; wrote his Confessio Scotia (Scottish Confession) for the Calvinist church therein 1560.
the religious revolution that took place in the Western church in the 16th century; its greatest leaders undoubtedly were Martin Luther and John Calvin. Having far-reaching political, economic, and social effects, the Reformation became the basis for the founding of Protestantism, one of the three major branches of Christianity. The world of the late medieval Roman Catholic church from which the 16th-century Reformers emerged was a complex one. Over the centuries the church, particularly in the office of the papacy, had become deeply involved in the political life of western Europe. The resulting intrigues and political manipulations, combined with the church�s increasing power and wealth, contributed to the bankrupting of the church as a spiritual force. Abuses such as the sale of indulgences (or spiritual privileges) by the clergy and other charges of corruption undermined the church�s spiritual authority. These instances must be seen as exceptions, however, no matter how much they were played up by polemicists. For most people, the church continued to offer spiritual comfort. There is some evidence of anticlericalism, but the church at large enjoyed loyalty as it had before. One development is clear: the political authorities increasingly sought to curtail the public role of the church and thereby triggered tension. Martin Luther claimed that what distinguished him from previous reformers was that while they attacked corruption in the life of the church, he went to the theological root of the problem�the perversion of the church�s doctrine of redemption and grace. Luther, a pastor and professor at the University of Wittenberg, deplored the entanglement of God�s free gift of grace in a complex system of indulgences and good works. In his Ninety-five Theses, he attacked the indulgence system, insisting that the pope had no authority over purgatory and that the doctrine of the merits of the saints had no foundation in the gospel. Here lay the key to Luther�s concerns for the ethical and theological reform of the church: Scripture alone is authoritative (sola sciptura) and justification is by faith (sola fide), not by works. While he did not intend to break with the Catholic church, a confrontation with the papacy was not long in coming. In 1521 Luther was excommunicated; what began as an internal reform movement had become a fracture in western Christendom. The Reformation movement within Germany diversified almost immediately, and other reform impulses arose independently of Luther. Huldrych Zwingli built a Christian theocracy in Zürich in which church and state joined for the service of God. Zwingli agreed with Luther in the centrality of the doctrine of justification by faith, but he espoused a different understanding of the Holy Communion. Luther had rejected the Catholic church�s doctrine of transubstantiation, according to which the bread and wine in Holy Communion became the actual body and blood of Christ. According to Luther�s notion, the body of Christ was physically present in the elements because Christ is present everywhere, while Zwingli claimed that entailed a spiritual presence of Christ and a declaration of faith by the recipients. Another group of reformers, often though not altogether correctly referred to as �radical reformers,� insisted that baptism be performed not on infants but on adults who had professed their faith in Jesus. Called Anabaptists, they remained a marginal phenomenon in the 16th century but survived�despite fierce persecution�as Mennonites and Hutterites into the 21st century. Opponents of the ancient Trinitarian dogma made their appearance as well. Known as Socinians, after the name of their founder, they established flourishing congregations, especially in Poland. Another important form of Protestantism (as those protesting against their suppressions were designated by the Diet of Speyer in 1529) is Calvinism, named for John Calvin, a French lawyer who fled France after his conversion to the Protestant cause. In Basel, Switzerland, Calvin brought out the first edition of his Institutes of the Christian Religion in 1536, the first systematic, theological treatise of the new reform movement. Calvin agreed with Luther�s teaching on justification by faith. However, he found a more positive place for law within the Christian community than did Luther. In Geneva, Calvin was able to experiment with his ideal of a disciplined community of the elect. Calvin also stressed the doctrine of predestination and interpreted Holy Communion as a spiritual partaking of the body and blood of Christ. Calvin�s tradition merged eventually with Zwingli�s into the Reformed tradition, which was given theological expression by the (second) Helvetic Confession of 1561. The Reformation spread to other European countries over the course of the 16th century. By mid century, Lutheranism dominated northern Europe. Eastern Europe offered a seedbed for even more radical varieties of Protestantism, because kings were weak, nobles strong, and cities few, and because religious pluralism had long existed. Spain and Italy were to be the great centres of the Counter-Reformation, and Protestantism never gained a strong foothold there. In England the Reformation�s roots were both political and religious. Henry VIII, incensed by Pope Clement VII�s refusal to grant him an annulment of his marriage, repudiated papal authority and in 1534 established the Anglican Church with the king as the supreme head. In spite of its political implications, the reorganization of the church permitted the beginning of religious change in England, which included the preparation of a liturgy in English, the Book of Common Prayer. 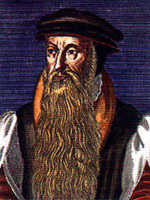 In Scotland, John Knox, who spent time in Geneva and was greatly influenced by John Calvin, led the establishment of Presbyterianism, which made possible the eventual union of Scotland with England. For further treatment of the Reformation, see Protestantism, history of. For a discussion of the religious doctrine, see Protestantism. Protestant movement founded on the principles of Martin Luther. 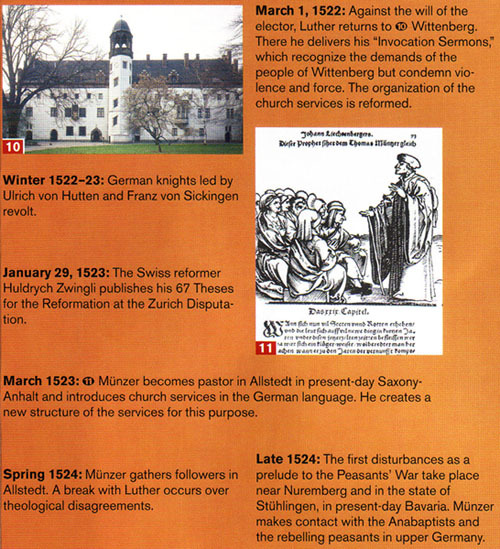 Lutheranism arose at the start of the Reformation, after Luther posted his Ninety-five Theses in Wittenberg. It spread through much of Germany and into Scandinavia, where it was established by law. It was brought to the New World by the colonists of New Netherland and New Sweden and spread through the U.S. Middle Atlantic states in the 18th century and the Midwest in the 19th century. Its doctrines are contained in the catechisms of Luther and in the Augsburg Confession. Lutheran doctrine emphasizes salvation by faith alone and the primacy of the Bible as the church�s authority. The Lutheran ministry is one of service�not special status�and is described as the priesthood of all believers. Lutherans accept two sacraments (baptism and the Eucharist) and believe in predestination to salvation. The Lutheran World Federation is based in Geneva. See also Pietism. the branch of Christianity that traces its interpretation of the Christian religion to the teachings of Martin Luther and the 16th-century movements that issued from his reforms. Along with Anglicanism, the Reformed and Presbyterian (Calvinist) churches, Methodism, and the Baptist churches, Lutheranism is one of the five major branches of Protestantism. Unlike the Roman Catholic Church, however, Lutheranism is not a single entity. It is organized in autonomous regional or national churches, such as the Church of Sweden or the Evangelical Lutheran Church of Mecklenburg, Ger. Globally, there are some 140 such Lutheran church bodies; 138 of these are loosely joined in the Lutheran World Federation, which was established in 1947. At the beginning of the 21st century, there were more than 65 million Lutherans worldwide, making Lutheranism the second largest Protestant denomination, after the Baptist churches. 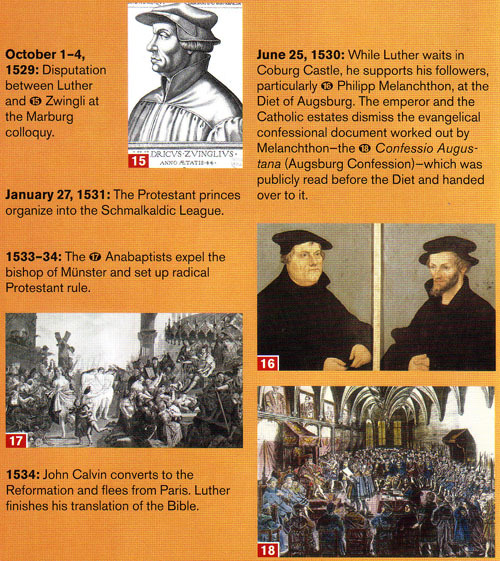 The term Lutheran, which appeared as early as 1519, was coined by Luther�s opponents. The self-designation of Luther�s followers was �evangelical��that is, centred on the Gospel. After the Diet of Speyer in 1529, when German rulers sympathetic to Luther�s cause voiced a protest against the diet�s Catholic majority, which had overturned a decree of 1526, Luther�s followers came to be known as Protestants. However, because both evangelical and Protestant proved to be overly broad designations (before long they also included the Reformed churches), eventually the name Evangelical Lutheran became standard. Another name occasionally used is Churches of the Augsburg Confession, which recalls the Lutheran statement of faith presented to the German emperor at the Diet of Augsburg in 1530. In the United States several nomenclatures have been used, all of which, with the exception of the Evangelical Catholic Church, include the term Lutheran in their titles (e.g., the Lutheran Church�Missouri Synod). Theologically, Lutheranism embraces the standard affirmations of classic Protestantism�the repudiation of papal and ecclesiastical authority in favour of the Bible (sola Scriptura), the rejection of five of the traditional seven sacraments affirmed by the Catholic Church, and the insistence that human reconciliation with God is effected solely by divine grace (sola gratia), which is appropriated solely by faith (sola fide), in contrast to the notion of a convergence of human effort and divine grace in the process of salvation. In 1517, when Martin Luther probed the church practices surrounding indulgences (the full or partial grant of the remission of the penalties of sin) with his Ninety-five Theses (the various propositions that Luther wished to debate�posted, according to tradition, on the church doors in Wittenberg), he had no intention of breaking from the Catholic Church, assuming that his call for theological and ecclesiastical reform would be heard. Instead, a fierce controversy ensued. Luther and his followers were subsequently excommunicated, which confronted them with the alternative of yielding to the ecclesiastical dictum or finding new ways to live their faith. Since the advocates of reform received the protection of governmental authorities in many places, new forms of church life began to emerge in the late 1520s. Although their legal existence was assured, the Lutheran churches in Germany nonetheless found themselves in turmoil. A series of theological controversies over the authentic understanding of Luther�s thought�some had already erupted during Luther�s own lifetime�began to divide Lutheran theologians and churches with increasing intensity. Most of them pertained to topics on which Luther and his Wittenberg colleague Philipp Melanchthon had disagreed or on which Luther�s theological views were not altogether clear. Dominating the Lutheran agenda between 1548 and 1577, the disputes concerned how to resolve matters that were neither approved nor strictly forbidden by Scripture, whether the doctrine of faith absolved Christians from following the moral law set out in the Hebrew Scriptures, and matters connected with justification and human participation in salvation. The two factions involved in these debates were the Philippists, followers of Melanchthon, and the Gnesio-Lutherans (Genuine Lutherans), led by Matthias Flacius Illyricus, a forceful and uncompromising theologian who accused the Philippists of �synergism,� the notion that humans cooperated in their salvation. Flacius and the other Gnesio-Lutherans also saw in the Philippists� understanding of the Lord�s Supper the influence of Calvinism, which stressed the real but spiritual presence of Christ in the sacrament. With the aid of theologians Jakob Andreae and Martin Chemnitz, Lutheran political authorities, notably the elector of Saxony, forced compromises on the disputed points of theology. Andreae and Chemnitz prompted a group of Lutheran theologians to draft a document entitled Formula of Concord in 1576 and 1577. Approved by German Lutheran political and religious leaders, it was incorporated, together with several other confessions�the three ancient ecumenical creeds (the Apostles Creed, the Nicene Creed, and the Athanasian Creed), the Augsburg Confession, the Apology of the Augsburg Confession, Luther�s tract on papal power, his Schmalkaldic Articles, and his Small and Large Catechisms�into the Book of Concord in 1580. The Book of Concord embodied the confessional identity of German Lutheranism. It reflected a development that was paralleled in other Christian traditions of the time, each of which jealously guarded its own identity in opposition to other traditions. The particular �Lutheran� identity encompassed not only theology but also liturgy, music, law, and piety. This process of identity formation in the late 16th century is known as confessionalization. During the period of orthodox dominance, some Lutheran theologians argued that Christianity was not so much a system of doctrine as a guide for practical Christian living. Foremost among them was Johann Arndt (1555�1621), whose devotional writings were extremely popular in the 17th century. Arndt�s major work, The Four Books of True Christianity (1605�09), was a guide to the meditative and devotional life. 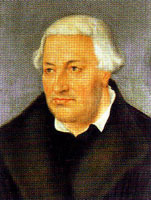 Arndt has been called the father of Pietism because of his influence on those who later developed the movement. The Pietist movement was also shaped by English theologians William Perkins, William Ames, and Richard Baxter. Pietism had its beginnings in 1675, when the Frankfurt pastor Philipp Jakob Spener published his book Pious Desires, in which he called for greater commitment to Christian living and a fundamental reform of theological education. Stressing the religion of the heart and the piety of the individual, the movement cultivated �small churches within the larger church� for prayer, Bible reading, moral scrutiny, and works of charity. Although Spener gave no thought to leaving the Lutheran Church, he was deeply aggrieved by what he considered the ignorance of the clergy and the church�s lack of spiritual vitality. Spener�s notions were institutionalized in the town of Halle, Ger., by August Hermann Francke, who established the Frankesche Stiftungen (�Francke Foundations�) schools as well as an orphanage, a printing press, and similar establishments. These Halle Foundations, still in existence today, put into practice Pietist beliefs regarding sanctified living, practical education, and concern for the neighbour in need. The Pietists� emphasis on education in particular influenced the development of the Enlightenment in Germany. In the 18th century, the European Enlightenment, embracing the insights of the modern scientific revolution, challenged traditional Christian assumptions concerning miracles, the fulfillment of prophecy, and divine revelation. Lutheran philosophers and theologians, such as Christian Wolff (1679�1754) and Johann Salomo Semler (1725�91), defended the notion of the harmony of reason and revelation. In contrast to medieval scholasticism, which advocated the use of reason but emphasized the primacy of revelation, Lutheran theology subordinated revelation and declared reason to be the key to understanding the will of God. This sentiment, known as Neology, dominated Lutheranism in the second half of the 18th century. As a result, liberal and conservative wings began to form in the 19th century, a division that has continued into the 21st century. In this way Lutheranism mirrored developments in other Christian churches, both Roman Catholic and Protestant. Regardless of denominational differences, the real division increasingly was between those who embraced the new notions of the Enlightenment�that Christianity was in effect natural religion�and those who rejected those notions. For those influenced by the Enlightenment, traditional theological disputes, such as those between Lutherans and the Reformed churches, ceased to be fundamentally important. It was against this background that King Frederick William III of Prussia in 1817 directed that the Lutheran and Reformed churches in Prussia use an identical order of worship. The Prussian ruling house had been Calvinist since the early 17th century; its subjects were Lutheran, even though the territorial enlargement of Prussia after the Napoleonic Wars had added a substantial Reformed populace. Frederick William, a devout individual, was convinced that no substantive theological differences separated the two churches. Moreover, Prussia had undergone a comprehensive administrative realignment that greatly centralized the government, and the king sought the same for the Lutheran and Reformed churches. While some accepted the king�s dictum, others fiercely opposed the merger and found themselves suppressed and even persecuted. When the opponents were finally allowed to emigrate to the United States in the 1840s, they established the conservative Lutheran synods of Missouri and Buffalo. Continuing opposition eventually led Frederick William IV to declare in 1852 that the union of Lutherans and Reformed was not doctrinal but only administrative. Nevertheless, most Prussian regional churches had by then adopted a uniform church order, taking the name Churches of the Prussian Union. In the 19th century Lutheran theology in Germany was bitterly divided between three schools�a liberal school, represented by Heinrich Eberhard Gottlob Paulus (1761�1851); a traditional-confessional school, represented by Ernst Wilhelm Hengstenberg (1802�69) and Claus Harms (1778�1855); and a mediating school, which included August Neander (1789�1850) but was chiefly influenced by Friedrich Daniel Ernst Schleiermacher (1768�1834). Later in the century Albrecht Ritschl (1822�89) sought to forge a synthesis between the Christian faith and modernity, one that did not fit into any particular theological school, but he was bitterly attacked by both liberals and conservatives, the supernaturalists and the rationalists. 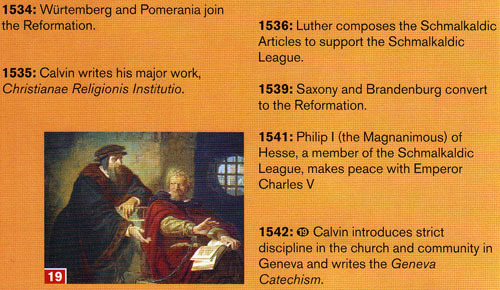 In the 16th century, Lutheran ideas moved into Bohemia, Poland, and Hungary and Transylvania. Although they were well received by clergy and laity alike, the lack of support by governmental authorities prevented the formation of new churches. Eventually the Lutheran congregations in these lands succumbed to an increasingly dynamic and resurgent Catholicism. Traveling merchants and students introduced Lutheran notions to Scandinavia, which was precariously united under the Danish crown. A conflict between the Danish king Christian II and the Swedish nobility in the second decade of the 16th century led to the emergence of Gustav Eriksson Vasa, who secured Swedish independence and was eventually elected king of Sweden and Finland. From the outset, Gustav Vasa sought to diminish the political and financial power of the Catholic Church in Sweden, and he supported Lutheran preaching and publications. At his behest, the diet at Västerås in 1527 confiscated the property of the church, removed the immunity of the clergy from civil courts, and declared that only the pure Word of God should be preached. Subsequent legislative measures at first curtailed and then ended Catholicism in Sweden. In 1528 Gustav Vasa helped to secure the consecration of three Swedish bishops of Lutheran commitment, thus ensuring the formal apostolic succession of the Swedish episcopate. Among them was Laurentius Petri, who became the first Lutheran archbishop of Uppsala in 1531, and his brother Olaus Petri, who had absorbed Luther�s ideas while studying in Wittenberg. Both brought deep Protestant convictions�which Gustav Vasa lacked�to the task of popularizing Lutheranism in Sweden. Although Olaus Petri was often in conflict with the king, he and his reformer colleagues eventually carried the day. The Reformation in Finland was the work of Michael Agricola, another former Wittenberg student and later bishop of Abo, who translated the New Testament into Finnish. By the 17th century Lutheran Sweden had become a significant political power in Europe. Neutral in the Thirty Years� War when it broke out in 1618, King Gustav II Adolf, the �lion of the north,� entered the war on the side of the struggling German Protestant states in 1630. Gustav II Adolf�s military victories, especially at Lützen, where he died on the battlefield, ensured that the Thirty Years� War would not bring ruin to Protestantism. The Peace of Westphalia (1648) gave Catholic, Reformed, and Lutheran Christians equal political and religious rights in the Empire. Subsequently, the course of Lutheranism in Scandinavia followed that of Lutheranism in German lands. Pietist sentiment, meanwhile, made an enormous impact on 19th-century Norway and Sweden. When Lutheranism was established in small communities in present-day New York and Delaware in the 17th century, it was heir both to orthodox Lutheran confessionalism and to Pietism. The first large wave of Lutheran immigrants arrived in the 1740s, with settlements in New York, the Carolinas, and Pennsylvania. Henry Melchior Muhlenberg, a German immigrant pastor, established Lutheran congregations and schools indefatigably, especially in Pennsylvania. In the 19th century, Scandinavian Lutherans settled on the prairies of the American Midwest, establishing synods that retained the forms of the church life of their native countries. As immigrants of different national and ethnic backgrounds encountered American society and each other, conflicts inevitably developed. Samuel S. Schmucker, professor at the Lutheran seminary at Gettysburg, advocated adjusting to American ways, by such means as adopting English hymns and cooperating with the Reformed churches. In contrast, Charles Porterfield Krauth, a graduate of the seminary at Gettysburg, emphasized Lutheran distinctiveness. When a new wave of German immigrants arrived in the middle of the 19th century, they brought with them the conservative confessional Lutheran orientation dominant in Germany at the time. Establishing the German Evangelical Lutheran Synod of Missouri, Ohio, and Other States in 1847, these immigrants clung not only to German language and culture but also to a conservative theology. As did all Protestant churches, Lutheran church bodies in Europe and North America joined the great 19th-century effort to evangelize the peoples of Africa and Asia. Missions had been undertaken in the 18th century but lacked the organization and enthusiasm that characterized the 19th-century endeavour. The new missionary commitment found expression in the establishment of numerous missionary societies, such as those of Berlin (1824), Denmark (1821), and Leipzig (1836). Lutheran missionaries concentrated on the East Indies, New Guinea, and South West Africa (now Namibia). Eventually, new Lutheran churches were formed in all parts of the world. By the middle of the 20th century, many of these churches showed a vitality and growth that seemed to be missing from the traditional Lutheran churches of Europe. As Lutheran evangelization proceeded in Africa and Asia, the Lutheran churches in Europe in the 19th century also engaged in what they called �inner mission,� the effort to tend to the physical and spiritual needs of the poor and downtrodden, especially those who had been marginalized by the Industrial Revolution. Johann Hinrich Wichern (1808�81) was the great organizer of this work in Germany. Under his aegis, the inner mission movement established local branches throughout Germany. Although the Lutheran churches thus ameliorated some of the excesses of the Industrial Revolution, they did not adequately address the vast demographic and social changes it had caused. The common people, therefore, became increasingly alienated from the church, which they perceived as being allied with the state and with the socially conservative establishment. At the beginning of the 20th century, European Lutheranism remained divided between liberal and conservative wings. It was also marked by varying degrees of loyalty toward the 16th-century Lutheran confessions. The experience of World War I, which was widely understood by theologians as demonstrating the bankruptcy of optimistic theological liberalism, triggered both a conservative reaction and an interest in interconfessional cooperation. Most Lutheran theologians followed the general reorientation of Protestant theology away from liberalism and toward a synthesis between religion and culture, theology and philosophy, and faith and science. Known as �dialectic theology� in Europe and �neoorthodoxy� in North America, this movement emphasized the �otherness� of God and the pivotal importance of the Word of God. The key theologian of neoorthodoxy was the Reformed theologian Karl Barth of Germany and Switzerland. As Barth�s theological premises, which related all divine revelation to Jesus Christ, became increasingly clear, however, Lutheran theologians such as Werner Elert and Paul Althaus developed an analogous conservative Lutheran perspective based on a traditional understanding of Martin Luther�s thought. The end of World War I also brought the disestablishment of the Lutheran churches as state churches in Germany. The constitution of the Weimar Republic provided for the separation of church and state, though it granted Roman Catholic and Lutheran churches continued modest privileges. 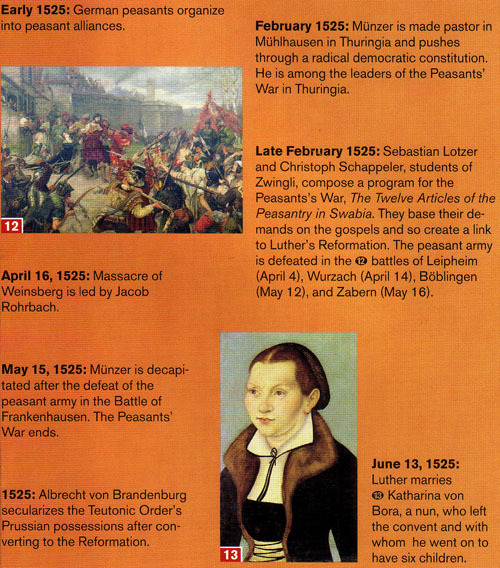 Unhappiness with the Weimar Republic, along with the political conservativeness of most Lutheran leaders and Luther�s concept of the orders of creation (see below Church and state), contributed to the acceptance of Nazi notions by many Lutherans when Adolf Hitler became German chancellor in January 1933. The ensuing crisis in the Lutheran churches in Germany arose as a result of the efforts of one pro-Nazi church, the German Christians (Deutsche Christen), to obtain control of the Lutheran regional synods in Germany. The German Christians propounded a Christianity devoid of any Jewish influence (they rejected the Old Testament and declared Jesus to have been Aryan); they also advocated a single, centralized Protestant church in Germany, an objective that contradicted the long-standing tradition of autonomous regional synods but was subtly supported by the Nazi government. In 1934 Lutheran church leaders and theologians joined Reformed leaders to form the Pastors� Emergency League, out of which came the Barmen Declaration (see Barmen, Synod of). This statement affirmed traditional Protestant doctrine and led to the formation of the Confessing Church (Bekennende Kirche), which comprised pastors and congregations loyal to traditional confessional standards. The remainder of the decade was marked by continued theological and political confrontation between the confessionally minded camp and the German Christians. This controversy, known as the German Church Struggle, led a minority of Lutheran church leaders, such as Martin Niemöller, a decorated World War I submarine captain, to question the legitimacy of the Nazi regime; some, including the theologian Dietrich Bonhoeffer, even became active in the anti-Nazi opposition. By the middle of the 20th century, European Lutheranism continued to enjoy privileged status in several traditionally Lutheran countries (Denmark, Norway, Sweden, Finland, and Germany). Regular church attendance, however, was declining, and more and more people formally left the church. The number of church members declined slowly during the first three decades of the century, dwindled dramatically in Germany during Nazi rule, and continued to decline through the rest of the century. Several important mergers of various American Lutheran churches took place in the 20th century. The first two occurred in 1917, when three Norwegian synods formed the Norwegian Lutheran Church of America (NLCA), and in 1918, when three German-language synods formed the United Lutheran Church in America (ULCA). In 1930 the Joint Synod of Ohio, the Evangelical Lutheran Synod of Iowa, and the Buffalo Synod formed the American Lutheran Church (German). In 1960 the American Lutheran Church (German) merged with the United Evangelical Lutheran Church (Danish) and the Evangelical Lutheran Church (Norwegian) to form the American Lutheran Church (ALC). The Lutheran Free Church (Norwegian), which had initially dropped out of merger negotiations, joined the ALC in 1963. Two years after the formation of the ALC, in a parallel development, the ULCA joined with the Augustana Evangelical Lutheran Church (Swedish), the Finnish Evangelical Lutheran Church, and the American Evangelical Lutheran Church (Danish) to establish the Lutheran Church in America (LCA). The Missouri and Wisconsin synods chose not to engage in merger negotiations because of the more liberal stance of the other Lutheran bodies. In 1988 the ALC and the LCA�the former prominent in the Midwest, the latter on the east coast�together with the smaller Association of Evangelical Lutheran Churches, merged to form the Evangelical Lutheran Church in America (ELCA). This made the ELCA, with more than 5 million members, the largest Lutheran church body in North America. The 2.5-million-member Lutheran Church�Missouri Synod remained the second largest Lutheran church. The third major church of North American Lutheranism was the Wisconsin Evangelical Lutheran Synod, with more than 400,000 baptized members. The ELCA�s constituency is chiefly found in the Northeast and the upper Midwest; other concentrations of Lutherans are found in states where Lutherans first settled: Pennsylvania, New York, Virginia, and the Carolinas. Canadian Lutheranism, about 300,000 strong, is divided into two bodies paralleling the ELCA and the Missouri Synod in the United States. The larger of the two, the Evangelical Lutheran Church in Canada (ELCIC), had about 180,000 members in some 600 congregations by the early 21st century. In 1997 the ELCIC adopted an �evangelical declaration� as �a guide for its future mission.� Canadian Lutheranism is strongest in Ontario and the Western provinces. The question �What is Lutheran theology?� is not easily answered. Martin Luther himself was not a systematic thinker, and his colleague Philip Melanchthon became for many his authentic interpreter, raising at once the charge that Melanchthon had distorted Luther�s thought. The doctrinal controversies in 16th-century Lutheranism are indicative of the difficulty of defining precisely what it means to be �Lutheran.� Nonetheless, Luther�s own thought has always been the guiding force in the delineation of Lutheran theology. The two major Lutheran confessional statements of the 16th century, the Augsburg Confession of 1530 and the Formula of Concord of 1576, have traditionally been thought to explicate Luther�s teachings. Since the introduction of Lutheranism in European countries was not centrally directed, the emergence of Lutheran theology took place variously. Thus, not all Lutheran churches formally accepted the Formula of Concord. Authority in Lutheranism is understood as fidelity to the confessional documents that constitute authentic exposition of biblical teaching. Lutheranism has no formal teaching office comparable to that of the Roman Catholic Church. Foremost among Lutheran teachings is the insistence, shared with all Protestant traditions, that the Bible is the sole source of religious authority. Lutherans subscribe to the three ancient ecumenical Christian creeds together with the 16th-century Lutheran confessional statements. All Lutheran churches affirm the Augsburg Confession; some, notably those in Germany and the United States, additionally affirm the confessional writings found in the Book of Concord. The Formula of Concord designated the Bible as the �sole and most certain rule� for judging Christian teachings. This position was in marked contrast to the Catholic affirmation of both Scripture and tradition. Luther never accepted the Catholic insistence that church tradition was merely making explicit what was already found implicitly in Scripture. The new centrality of the Bible had dramatic consequences. Luther understood the need for a Bible in the German vernacular, for only if the Bible was accessible could its teachings be appreciated. Luther�s example of making available a vernacular Bible was followed by reformers throughout Europe, such as William Tyndale in England. Catholic theologians promptly recognized the powerful weapon Luther had created and undertook to provide vernacular translations of their own. None of them, however, possessed the literary cogency of Luther�s translation or of the translation produced early in the 17th century under the direction of King James I of England. Following St. Augustine, Western Christian theologians until the 16th century conceived the redemptive act of divine grace as taking place within the context of willful human collaboration. This centuries-old consensus of divine and human cooperation was sharply rejected by Martin Luther, who maintained that the apostle Paul denied human participation in the process of salvation. Accordingly, the Augsburg Confession notes, people �are justified freely on account of Christ through faith when they believe that they are received into grace and their sins forgiven on account of Christ, who by his death made satisfaction for our sins�; God �imputes [this faith] as righteousness in his sight.� This affirmation, on which �the church stands and falls,� has received a variety of interpretations since the 16th century. In the 19th and 20th centuries, Lutheran theologians sought to express the teaching in new ways, always insisting that it represented an authentic interpretation of the apostle Paul. Thus, Paul Tillich interpreted justification through faith as the condition of being accepted despite one�s unacceptability. In a famous definition, the Augsburg Confession speaks of the church as the �congregation of saints [believers] in which the gospel is purely taught and the sacraments rightly administered.� Luther regarded the true church as essentially invisible, which means that its authority is found not in a formal structure but in fidelity to Scripture. It is in no way identical to the visible (empirical) church organization. Although the visible church is prone to be as weak and sinful as any other human institution, God works in it insofar as it is faithful to his word. During the periods of orthodoxy and Pietism, the notion of the invisibility of the church was understood to mean that God alone knows who among the assembled Christians are true believers. In the 19th century the relationship of the visible and invisible church received much attention in Lutheran theology, partly under the influence of a dynamic Catholicism, with some Lutheran theologians bestowing great importance on the visible church and the sacraments and ritual. These tendencies were exemplified in the thought of Wilhelm Löhe. A more democratic understanding of the church was promulgated in North America by the Missouri Synod theologian C.F.W. Walther. The most influential conception of the visible church was the historical-evolutionary doctrine of the German theologian Albrecht Ritschl, who saw the institutional church as the actualization of the Kingdom of God progressively realized in history. The Lutheran confessions recognize two sacraments, baptism and the Lord�s Supper. According to Lutheran teaching, the sacraments are acts instituted by Christ and connected with a divine promise. Faith is necessary for a salvatory reception of the sacrament. Thus, Lutherans reject the notion that the sacraments are effective ex opere operato (operative apart from faith) or that they are only symbolic actions. The Lutheran affirmation that in the Lord�s Supper Christ is bodily present �in, with, and under bread and wine� proved to be the great divisive issue of the 16th century. The Lutheran teaching of the �real� presence left open the question of whether Christ is present in the bread and wine because he is present everywhere, ubiquitously, as some Lutherans contend, or because he promises to be specifically present in the elements. In either case, Lutherans reject the Roman Catholic doctrine of transubstantiation, which asserts that the bread and wine are transformed into the literal body and blood of Christ, as an inappropriate use of philosophical categories to express biblical truth. Most Lutheran churches allow participation in the Lord�s Supper to all baptized Christians who affirm the real presence of Christ in the elements of the bread and wine. Late 20th-century Lutheran theology, notably that of Wolfhart Pannenberg, sought to steer away from the elements of the bread and wine and to emphasize the notion of the Lord�s Supper as a meal with the resurrected Jesus. The ministry is understood as preaching and the administration of the sacraments. Unlike the ministry of the Roman Catholic Church, however, it does not entail a special status for the minister. Lutherans affirm the priesthood of all believers, according to which every baptized Christian may carry out, when properly called, the functions of ministry. While preaching and administration of the sacraments ordinarily is done by �rightly called� (ordained) ministers, Lutherans allow laypersons to carry out these functions when properly authorized. Lutheran churches have not insisted on uniformity of the liturgy or even on uniformity of church structure. There have been Lutheran bishops in Scandinavia ever since the 16th century, whereas in Germany and North America other designations for such supervisory positions have been used. The title of bishop is accepted in the ELCA but not in the Missouri or the Wisconsin synod. In 1970 both the LCA and the ALC approved the ordination of women, a practice carried over into the ELCA. The ordination of women is accepted by all Lutheran churches in Europe and North America except the Missouri and Wisconsin synods. Women were first ordained in Denmark in 1948. In Norway the parliament decreed the ordination of women in 1938, an act fiercely resisted by the overwhelming majority of bishops (the first woman was not ordained, however, until 1961). Most German Lutheran churches endorsed the change soon after the Norwegian decree. Lutheran theology has understood the relationship between church and state in terms of God�s two ways of ruling in the world (two �realms� or �kingdoms�). The distinction is similar to that made by St. Augustine between the City of God and the City of the World. Luther argued that God governs the world in two ways: through orders of creation, such as government and marriage, which stem from God�s desire that all people everywhere live in peace and harmony, and through his Word and Gospel, though these apply only to Christians. These two domains of power and grace are interdependent because the Gospel itself cannot preserve societal peace and justice, and civil government cannot effect salvation. Although this conception allowed North American Lutherans to accept the separation of church and state in the United States and elsewhere, it also meant that Lutheranism, unlike Calvinism, made little effort to �Christianize� the social and political order. Historically, this entailed the autonomy of the secular realm, even a certain subservience of the religious to the secular. Quite consistently, when the German peasants staged an uprising in 1524�25, Luther forcefully argued that social and political demands cannot be justified by the Gospel. Lutheran theology stressed obedience to government as a Christian duty and did not, as did Reformed theology, produce a fully developed doctrine of resistance against tyrannical governments. Luther advocated resistance only if the preaching of the Gospel was in jeopardy. This principle was first put to the test in the middle of the 16th century, when the Lutheran city of Magdeburg successfully resisted Emperor Charles V�s reintroduction of Catholicism. Nazi totalitarianism caught German Lutheranism unprepared to offer a clear rationale for opposing tyranny. The weakness of Lutheran theology on this point became evident during the period of Nazi rule. Thus, when the government decreed racially exclusionary laws, which had implications for the churches, most Lutheran theologians conceded that it had the authority to do so under the divine order. The impact of Nazi Germany and other totalitarian regimes led some Lutheran church leaders, such as the German theologian Dietrich Bonhoeffer and the Norwegian bishop Eivind Berggrav, to reconsider the traditional Lutheran view. Although Luther retained the basic structure of the mass and liturgy, he introduced significant changes in the worship service, primarily of a theological nature, in writings such as the German Mass of 1526. The emphasis in the traditional mass on the reiteration of the sacrifice of Jesus was replaced by an emphasis on thanksgiving. Luther saw the sacrament of the altar (the Lord�s Supper) not as an autonomous form of the Gospel but as a proclamation of it. Therefore, he retained only the recitation of the words of institution (�In the night in which he was betrayed, Jesus��) from the prayer of thanksgiving. Because of the importance placed on the Bible, the sermon occupied the pivotal place in worship. In the early 21st century, most Lutheran churches followed essentially the same order of worship. It consisted of two main parts, Word (Liturgy of the Word) and the Lord�s Supper, both understood as the proclamation of the Gospel. The liturgical movement in the 20th century, which sought to restore the active role of the laity in church services, affected Lutheranism by deemphasizing the didactic sermon and increasing the frequency of the celebration of the Lord�s Supper. Other liturgical revisions (in Sweden in 1942, in Germany in 1954, and in North America in 1941, 1958, and 1978) increased the uniformity of Lutheran worship beyond national boundaries. Although traditionally only confirmed members received the Communion elements, in 1970 both the Lutheran Church in America and the American Lutheran Church endorsed participation in the Lord�s Supper for baptized younger children, even for those who have not been confirmed. In the decades following the reform, a tendency emerged in the ELCA to allow even young children to receive the bread and wine. Other rites of the Lutheran churches are baptism, confirmation, ordination, marriage, and burial. Lutherans practice infant baptism. In confirmation (which usually occurs between the ages of 10 and 15), the individual publicly professes the faith received in baptism. Lutheranism made an important contribution to Protestant hymnody, which not only conveyed the evangelical teaching but also allowed for increased popular participation in worship. Many of the well-known Lutheran hymns come from the 16th and 17th centuries, notably A Mighty Fortress Is Our God, by Martin Luther, O Sacred Head Now Wounded, by Paul Gerhardt, and Wake, Awake, for Night Is Flying, by Philipp Nicolai. American Lutherans have been heir to this heritage, but since the 19th century they have also embraced the hymnody of Anglo-Saxon Protestantism. Hymns from the 20th century, such as those by the German composer Hugo Distler, have been adopted somewhat more sparingly, though in the early 21st century, as evidenced by the new ELCA hymnal and worship book, Evangelical Worship, a persistent effort was under way to make Lutheran hymnody contemporary and multicultural. The polity of the Lutheran churches differs between Scandinavia and Germany, with North American Lutheranism and Lutheran churches on other continents reflecting both traditions. The Church of Sweden, which ended its status as a state church in 2000, has maintained the episcopal office (and with it episcopal succession), and its local congregations have considerable freedom to appoint their own pastors. The Danish Church first rejected then reintroduced the episcopal office. In Norway the ties between church and state had traditionally been closer than in the other Scandinavian countries, with the parliament exercising a major voice in church affairs, but in 2006 the General Synod of the Church of Norway agreed that church and state should separate in Norway. Since 1869 the Finnish Church has been independent of state control but is supported by public funds. Until the end of World War I, the administrative affairs of the Lutheran churches in Germany were handled by government offices, with the ruler exercising important power as summepiskopus, or presiding bishop, a system of church governance that emerged from the Reformation. With the establishment of the Weimar Republic, the regional Lutheran churches (Landeskirchen) adopted new constitutions that in some provinces placed the congregations under a superintendent and a general synod while in others they were placed under a bishop. These Landeskirchen consisted of 15 Lutheran and 12 Prussian Union synods along with one Reformed synod. These churches were united in 1922 in the German Evangelical Church Federation (Deutscher Evangelischer Kirchenbund). For Lutherans the concurrent existence of both Lutheran churches and churches of the Prussian Union in the federation was highly problematic, since it posed the question of the federation�s theological viability. Confessional Lutherans insisted on the creation of an Association of Evangelical Lutheran Churches (ELKD; Evangelisch-Lutherische Kirche Deutschlands). After the end of World War II, the Lutheran, Prussian Union, and Reformed Landeskirchen organized the Evangelical Church in Germany (Evangelische Kirche in Deutschland, EKD), under the leadership of bishops Theophil Wurm and Hans Meiser and Pastor Martin Niemöller. The member churches of the EKD adopted the Declaration of Barmen, with its expression of the communalities of the Lutheran and Reformed traditions, as a foundational statement. To safeguard Lutheran confessional concerns, the United Evangelical Lutheran Church of Germany (Vereinigte Evangelisch-Lutherische Kirche Deutschlands, VELKD) was established in 1948 as the federation of Lutheran regional churches. By the late 20th and early 21st century, efforts had begun to integrate the VELKD more fully into the EKD. Despite the division of Germany into four Allied zones of occupation at the end of World War II, the EKD encompassed both East and West Germany. The creation of the East German and West German states in 1949 initially did not mean the end of the EKD. In 1968 pressure from the East German government forced the East German churches to leave the EKD and establish their own East German Evangelical federation (United Evangelical Lutheran Church in the German Democratic Republic). East German Lutherans, living in a society that was hostile to Christianity and intermittently persecuted Christians, sought to avoid confrontations with the state, even when it decreed an all but mandatory �youth consecration,� which was to replace confirmation. In contrast to communist Poland, where the Catholic Church did not shy from outright confrontation with the regime, East German Lutherans were determined to cooperate with the state whenever possible while at the same time affirming the need for the church to be the church. This strategy was expressed in the slogan �church within socialism.� By the late 1970s a rapprochement with the communist regime had begun to take place. Nonetheless, membership in the Lutheran churches declined significantly in the roughly half-century of communist rule in East Germany. When the German Democratic Republic began to experience a series of human rights demonstrations in 1988 and 1989, Lutheran pastors and churches were in the forefront of the demand for greater civil liberties, thus playing an important role in the eventual disintegration of the East German state. The unification of Germany in 1990, however, had little impact on church membership, as the downward trend begun during communist rule continued. In the early 21st century less than 20 percent of the population of the former German Democratic Republic belonged to a Christian church. In the United States the polity of the Lutheran churches is congregational, but in a complex form in which congregations yield some authority to synods on regional and national levels. Elected heads are called presidents in some Lutheran bodies, such as the Lutheran Church� Missouri Synod and the Wisconsin Synod Lutheran Church, while the Evangelical Lutheran Church of America uses the term bishop for its 65 synodical leaders. It also has a �presiding bishop,� elected to a six-year term, who guides churchwide activities and initiatives. An assembly of all member churches meets every two years and is the legislative body of the ELCA. Besides these larger Lutheran church bodies, there are a number of smaller Lutheran churches both in Europe (e.g., the Evangelical Lutheran [Old Lutheran] Church in Germany) and in the United States (e.g., the Church of the Lutheran Confession or the Apostolic Lutheran Church), which have greater congregational autonomy. A global association of Lutheran churches was first established in the Lutheran World Conventions, which met at Eisenach in 1923 and in Copenhagen in 1929. In 1947 it assumed permanent form as the Lutheran World Federation (LWF), an umbrella organization of the various national Lutheran churches. The LWF has no authority to speak for worldwide Lutheranism and mainly serves as a forum for intra-Lutheran discussion and ecumenical consultation with other churches. The LWF took the lead in ecumenical conversations with the Roman Catholic Church, which led to a Joint Declaration on justification, signed by representatives of the Roman Catholic Church and the LWF in 1999. The document declared that no substantive theological differences exist between the positions of the two churches on the topic. However, among Lutheran theologians, especially in Germany, the �Joint Declaration� evoked intense criticism for being unfaithful to the Lutheran tradition, even as the Roman curia also recorded reservations about the document, which nonetheless is understood as a milestone in Lutheran-Catholic relations. The most exciting development of the 20th century was the dramatic expansion of Lutheranism beyond its European (and North American) homelands. Of the 65 million Lutherans who belonged to the LWF at the beginning of the 21st century, there were roughly 39 million in Europe, 5 million in North America, and 20 million in Asia and Africa. This new geographical diversity has created the same challenge for Lutheranism as it has for other global but originally European churches: that of maintaining traditional European and North American leadership in thought and practice as more and more adherents are found in other parts of the world. In the early 21st century there were about 30 Lutheran church bodies, with some 15 million members altogether, in Africa and more than 40 churches, with some 8 million members, in Asia. the theology advanced by John Calvin, a Protestant Reformer in the 16th century, and its development by his followers. The term also refers to doctrines and practices derived from the works of Calvin and his followers that are characteristic of the Reformed churches. Calvinism was immediately popular and was appealing across geographic and social boundaries. In France it was attractive primarily to the nobility and the urban upper classes, in Germany it found adherents among both burghers and princes, and in England and the Netherlands it made converts in every social group. In the Anglo-Saxon world, Calvinist notions found embodiment in English Puritanism, whose ethos proved vastly influential in North America beginning in the 17th century. It seems likely, therefore, that Calvinism�s appeal was based on its ability to explain disorders of the age afflicting all classes and to provide comfort by its activism and doctrine. Calvinism underwent further development as theologians, apparently dissatisfied with Calvin�s loose rhetorical writing, adopted the style of Scholastic theologians and even appealed to medieval Scholastic authorities. The major Calvinist theological statement of the 17th century was the Institutio Theologiae Elencticae (1688; Institutes of Elenctic Theology) of François Turretin, chief pastor of Geneva. Although the title of his work recalled Calvin�s masterpiece, the work itself bore little resemblance to the Institutes of the Christian Religion (1536); it was not published in the vernacular, and its dialectical structure followed the model of the great Summae of Thomas Aquinas and suggested Thomas�s confidence in the value of human reason. The lasting significance of this shift is suggested by the fact that Turretin�s work was the basic textbook in theology at the Princeton Theological Seminary in New Jersey, the most distinguished intellectual centre of American Calvinism, until the middle of the 19th century. Historians of Calvinism have continued to debate whether these developments were essentially faithful to the beliefs of Calvin or deviations from them. In some sense they were both. Although they abandoned Calvin�s humanism, there were precedents for these changes in the contrary aspects of his thought. They were untrue to Calvin, however, in rejecting his concern to balance contrary impulses. These changes, moreover, suggest the stage in the development of a movement that Max Weber called �routinization��the stage that comes after a movement�s creative beginnings and, as a kind of reaction against the disorderly freedom of individual creativity, represents the quite different values of order and regularity. It is also relevant to explaining these changes in Calvinism that they occurred during a period of singular disorder, caused among other things by a century of religious warfare, which generally produced a longing for certainty, security, and peace. movement that began in northern Europe in the early 16th century as a reaction to medieval Roman Catholic doctrines and practices. Along with Roman Catholicism and Eastern Orthodoxy, Protestantism became one of three major forces in Christianity. After a series of European religious wars in the 16th and 17th century, and especially in the 19th century, it spread throughout the world. Wherever Protestantism gained a foothold, it influenced the social, economic, political, and cultural life of the area. The name Protestant first appeared at the Diet of Speyer in 1529, when the Roman Catholic emperor of Germany, Charles V, rescinded the provision of the Diet of Speyer in 1526 that had allowed each ruler to choose whether to administer the Edict of Worms. 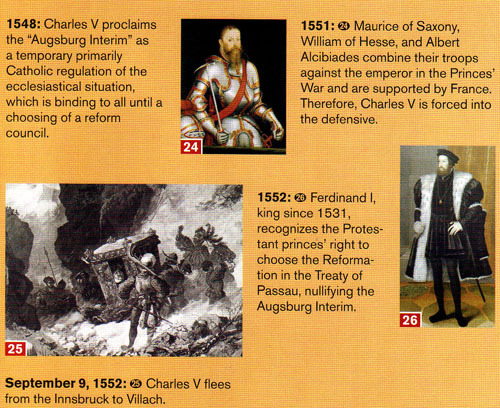 On April 19, 1529, a protest against this decision was read on behalf of 14 free cities of Germany and six Lutheran princes who declared that the majority decision did not bind them because they were not a party to it and that if forced to choose between obedience to God and obedience to Caesar they must choose obedience to God. They appealed either to a general council of all Christendom or to a synod of the whole German nation. Those who made this protest became known to their opponents as Protestants, and gradually the label was applied to all who adhered to the tenets of the Reformation, especially to those living outside Germany. In Germany the adherents of the Reformation preferred the name evangelicals and in France Huguenots. The name was attached not only to the disciples of Martin Luther (c. 1483�1546) but also to the Swiss disciples of Huldrych Zwingli (1484�1531) and later of John Calvin (1509�64). The Swiss Reformers and their followers in Holland, England, and Scotland, especially after the 17th century, preferred the name Reformed. In the 16th century Protestant referred primarily to the two great schools of thought that arose in the Reformation, the Lutheran and the Reformed. In England in the early 17th century, the word was used to denote �orthodox� Protestants as opposed to those who were regarded by Anglicans as unorthodox, such as the Baptists or the Quakers. Roman Catholics, however, used it for all who claimed to be Christian but opposed Catholicism (except the Eastern churches). They therefore included Baptists, Quakers, and Catholic-minded Anglicans under the term. Before the year 1700 this broad usage was accepted, though the word was not yet applied to Unitarians. The English Toleration Act of 1689 was entitled �an Act for exempting their Majesties� Protestant subjects dissenting from the Church of England.� But the act provided only for the toleration of the opinions known in England as �orthodox dissent� and conceded nothing to Unitarians. 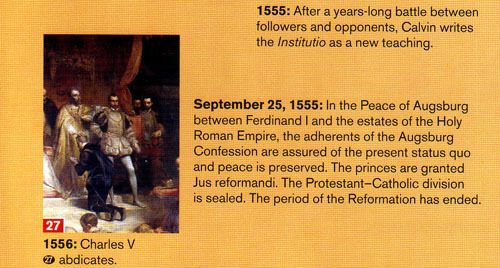 Throughout the 18th century the word Protestant was still defined in relation to the 16th-century Reformation. The second reason for difficulty in understanding the period is that the 15th-century critics of the church were not �Pre-Reformers�; they neither anticipated Protestantism nor acquired their importance from the Reformation. The events of that period were also not �Pre-Reformation� happenings but had an identity and meaning of their own. The existence of reform efforts in the 15th-century church from Spain and Italy northward through Germany, France, and England has long been acknowledged. Some of these were directed against abuses by the papacy, the clergy, and monks and nuns. The pious, for example, abhorred Pope Innocent VIII (1484�92), who performed marriage ceremonies for his own illegitimate children in the Vatican, and Pope Alexander VI (1492�1503), who bribed his way to the throne of St. Peter and had fathered eight children by three women by the time he became pope. The public was also increasingly aware of and angered by extravagant papal projects�patronage of art and architecture, wars of conquest�for which funds were exacted from the faithful. During this time of rising national consciousness, a generation of theologians appeared who remained entirely within the context of medieval Roman Catholicism but who engaged in fundamental criticisms of it. Thus William of Ockham (died 1349?) spoke up as a reformer within the Franciscan order, which he hoped to return to its original strict rule of apostolic poverty. Ockham argued that Pope John XXII was a heretic because he denied that Jesus and the Apostles were possessionless. Ockham saw the papacy and empire as independent but related realms. He believed that when the church was in danger of heresy, lay people�princes and commoners alike�must come to its rescue. This meant reform. Another English theologian, John Wycliffe, also challenged the church�s abuse of power and questioned its doctrines. Wycliffe encouraged reform of the church and its teachings and granted uncommon spiritual authority to the king. His primary source of inspiration for reform was the Bible. Wycliffe gave impetus to its translation, and in 1380 he helped make it available to rulers and ruled alike. In Bohemia, Jan Hus, who became rector of the University of Prague, used that school as his base to criticize lax clergy and the recent prohibition of offering the cup of wine to communicants. He also exploited nationalist feelings and argued that the pope had no right to use the temporal sword. Hus�s bold accusations were judged heretical and led to his death by burning at the Council of Constance in 1415. Alongside a piety that combined moral revulsion with nationalism, Christian humanism was a further sign of unrest in the late medieval church. In Italy Lorenzo Valla (1407�57) used philology and historical inquiry to expose a number of forgeries, including the Donation of Constantine, which purportedly granted control over the Western Roman Empire to the pope. In Germany Johannes Reuchlin (1455�1522) studied Greek and Hebrew, the biblical languages, and was involved in an international controversy that pitted intellectual freedom against ecclesiastical authority. Desiderius Erasmus (1466/69�1536), the most famous and important of the Northern or Christian humanists, used his vast learning and his satiric pen to question the practices of the church. Because of his philosophy of Christ, which stressed a focus on the Bible and rejected much medieval superstition, Erasmus, a lifelong Catholic, was accused of laying the egg that hatched Luther.